Someone has stolen eighteen pumpkins from Patsy Pig's Pleasant Valley Pumpkin Patch! Chief Detective Albert and his pals (see below) are hot on the trail of the Pumpkin Thief -- but they need your help, or there may be no jack-o'-lanterns this Halloween! Follow along as theygo from clue to clue until they finally apprehend a surprising suspect -- and learn how much they didn't see along the way! 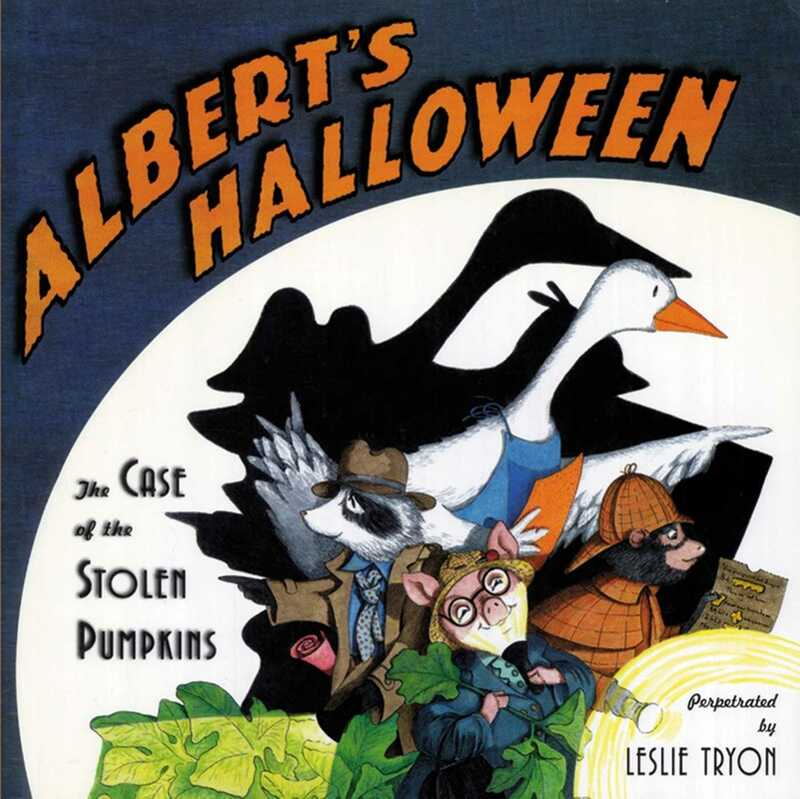 Illustrated in the same captivating style that has made Albert and his friends beloved by so many readers, Leslie Tryon takes the Pleasant Valley gang on a new adventure as they try to unravel the spookiest Halloween mystery ever!